AVG Business partnering with MCC Computers was selected as one of 86 finalists from an entry field of more than 400 companies in 31 countries at the European IT & Software Excellence Awards(ITEA) that took place in London on April 14. We brought you news here of how they had been nominated for the award. During the award ceremony hosted by Patrick Kielty, AVG Business was chosen as Security Vendor of the Year. Both AVG Business and MCC Computers from Galgorm were delighted to receive the award together in recognition of their achievements in what is clearly a successful working partnership. Gordon Montgomery, Operations Director at MCC Computers, who represented the local business told us, “It has been a fantastic journey since we began working with AVG Business. We can now offer our customers, domestic and business alike, an Internet Security product which is second to none. Our existing customers utilising AVG Security Software have even more piece of mind with the knowledge that we continue to offer robust Security Software solutions from a globally recognised brand, tailored especially for us, which is now recognised with this award at European level. AVG Business was delighted with the win, beating off opposition from other major brands including Kaspersky and Webroot. Of course it was also nice to have a chance to meet our own Patrick Kielty!” You can read more about the awards and the partnership with MCC on the AVG blog here. What does this mean for Ballymena businesses and personal computer users? AVG partnering with MCC Computers now allows the Ballymena business to provide you with a safer Internet Security package. A product which can better deal with the plethora of viruses, malware, spam and other online security threats which all computer users need to take seriously. AVG partnering with MCC Computers means you can deal with a local business who are working with an award winning, worldwide brand to help deliver a safer online experience. Do you want some advice from a local company that cares and has been serving customers in their town and community for over 20 years? Are you a parent who is worried about protecting your children online? A business owner that is concerned about the havoc a virus could cause on a server, local workstation or network? Not quite sure what Internet Security you need? 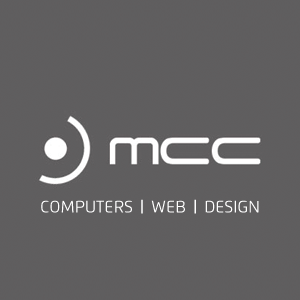 The team at MCC Computers will be more than happy to deal with any of your concerns. Call with them at Ballymena Business Centre and get your queries answered. You will always be sure of a coffee when you call! To check out all MCC Computers can offer both business and personal users check out their website here.